1. To win bonus credit, enter the weekly competitions on social media. Competitions are run on Facebook, Twitter and Instagram. 2. For your entry to qualify, you will need to complete the prediction form on the link supplied on social media (Twitter and Facebook) or comment for Instagram entries. Should there NOT be a prediction form and the post asks for comments, likes, shares OR all, then this will be the applicable criteria to enter the competition. 3. 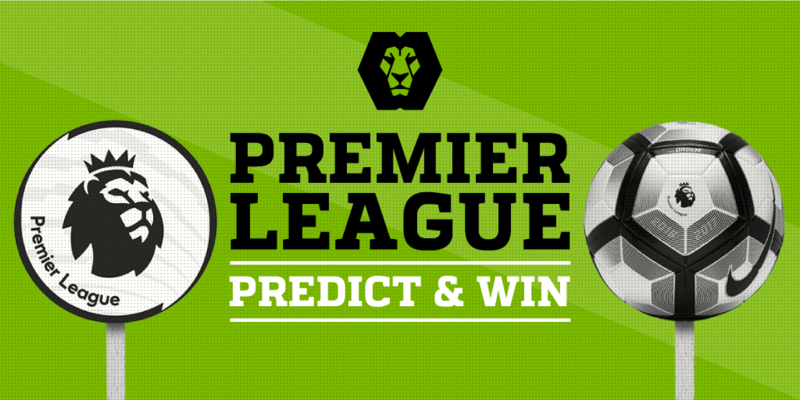 Winning predictions need to predict the exact outcome of the competition to win bonus credit. If an outcome cannot be decided, there will be no winner for the week. 4. Bonus credit is put into customer’s accounts every Monday morning following Friday competitions or on the day as mentioned in the post. No real money will be put into a customer’s bank account. 5. To qualify, you will need to have made a real money deposit within the past 14 days of the competition entry. In instances where you win the competition but have not made a real money deposit within the last 14 days of the competition start date, your prize will be forfeited. 6. For competitions where there is a single prize to be one, winning predictions or the closest prediction will receive the prize. If there are more than 1 winners, the prize will be split equally amongst all the winners, regardless of which social platform the competition was entered in. 7. Edited posts will be automatically excluded. 8. Predictions made once the match / event has started will not count. 9. One entry per person per competition. If you have 2 entries (for example you comment on an Instagram post and fill out the competition form from a Facebook link), then you will automatically be disqualified from the competition. 7. To qualify for a withdrawal after receiving bonus credit, your bonus credit and deposited funds will need to be wagered at least once at odds of 1/1 or more. For Example, if you received R50 in bonus credit, you will need to bet bonus credit of R50 and deposit and bet R50 of your real money deposited funds on selections of 1/1 or more before making a withdrawal. 8. Withdrawal Terms and Conditions apply. If you make a withdrawal, any existing bonus balance in your bonus account will be forfeited and your bonus balance will go to 0. 10. In order to claim your bonus your social media account needs to match your Playa account details. You are not allowed to give your winnings to a 3rd party.